Blackmoon Financial Group, a blockchain Financial Service and Fintech firm, and Dr. Werner & Partner, a network of attorneys, experts for international compliance and international tax law, accountants and financial advisors, today announced that they have formed a strategic partnership to create a branded Exchange Traded Index (ETx). 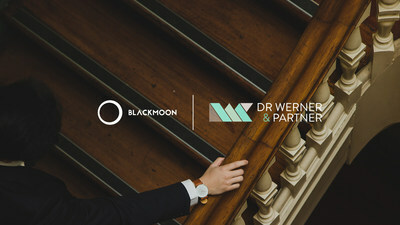 The close ties between Blackmoon and Dr Werner & Partner will allow them to work very closely together in order to create the ETx that will be directly linked to Dr Werner & Partner client base. The strategic partnership with Dr Werner & Partner is one of many that Blackmoon intends to form over the coming months. Their ultimate goal will be to have an entire suite of innovative ETx's to offer their own clients as well as those of their partners. Dr. Werner & Partner (https://www.drwerner.com) is an advisory network of lawyers, auditors, accountants and experts in international tax, regulation and compliance. Accepted applicants as licenced and regulated VFA / crypto agents with years of experience in ICO, STO, crypto start-ups and in obtaining regulative status for crypto, finance and gaming companies.